Are Chinese Investors Barred from Buying NBA Franchises? Leslie Alexander has put his National Basketball Association team in Houston up for sale. There is also talk that the Brooklyn Nets franchise is on the market. Normally, American interests go after American teams in all sports, but there are some reports that Chinese investors were interested in at least kicking the tires and taking a closer look at both franchises. That may have come to an end last Friday. China’s government has told the deep pockets class who have been investing in soccer teams in Europe that those days are done. Chinese billionaires cannot buy foreign soccer teams as the country’s state council put sports clubs on a list of overseas businesses that cannot bought. European soccer clubs have been the major target for Chinese investors as at least 29 clubs are now controlled by Chinese companies. These are not no name teams as AC Milan and Birmingham City and a number of English Premiership League clubs are owned by Chinese investors. 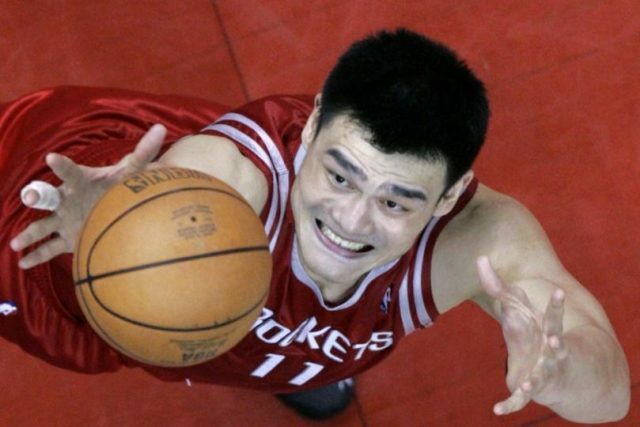 The Houston Rockets franchise has been a popular team in China because of Yao Ming. Yao Ming was the first major star from China in the NBA and the NBA has a big following in the country partially because of Yao Ming and a conveyor belt-like sampling of NBA basketball in China for years. The NBA will again have a fall presence in the country with teams playing pre-season games in some of China’s cities. It is not known how much money Alexander is seeking for the franchise which includes a lucrative lease at the municipally owned Houston arena. It is not known exactly what is going on with Nets ownership. Mikhail Prokhorov may seeking be seeking to selling the team and two properties, the Brooklyn arena and the Nassau Coliseum. Brooklyn has not been the goldmine that the market, New York, suggests it should be. Prokhorov has been trying to figure out his next move, if Chinese money dries up, it becomes a massive problem. Previous articleMackay: What if Budapest had Remained in Race for 2024 Olympics?